Oil prices resumed moderate growth on April 12, receiving support from the continued supply cuts from Venezuela and Iran. The armed conflict in Libya provides additional support for quotes. On Friday, the head of the Libyan National Oil Corporation warned against the further escalation of the conflict, which, in his opinion, could completely destroy the production in the country. More confident growth on Friday was hindered by the Baker Hughes report on active oil platforms in the USA, reflecting their growth from 831 to 833 units. 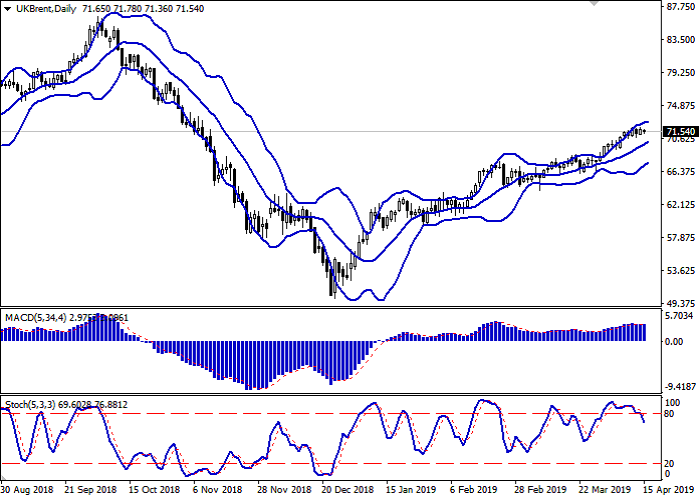 The Bollinger Bands in D1 chart show moderate growth. The price range is narrowing, limiting the development of the "bullish" trend in the short term. MACD is going down preserving a weak sell signal (being located under the signal line). Stochastic also maintains a downward direction, indicating a strong overbought instrument in the ultra-short term. To open new positions, one should wait for the clarification of trade signals. Resistance levels: 71.66, 72.13, 72.55. Support levels: 71.00, 70.43, 70.00, 69.15. 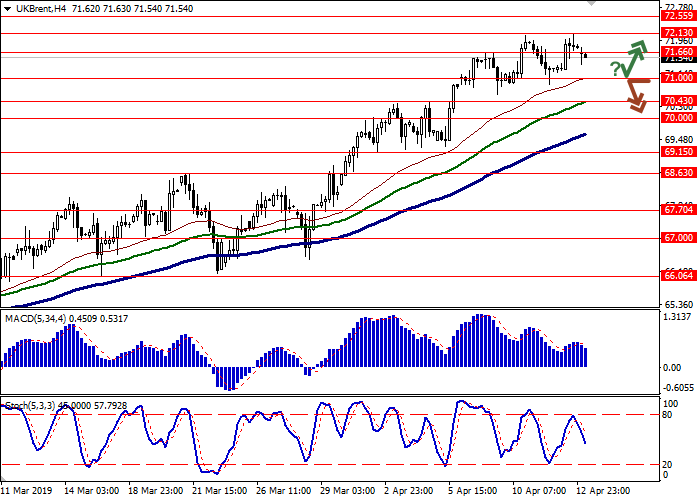 Long positions may be opened if the price moves away from 71.00, as from support, followed by the breakout of 71.50-71.66. Take profit — 72.55-72.80 or 73.00. Stop loss – 71.00. 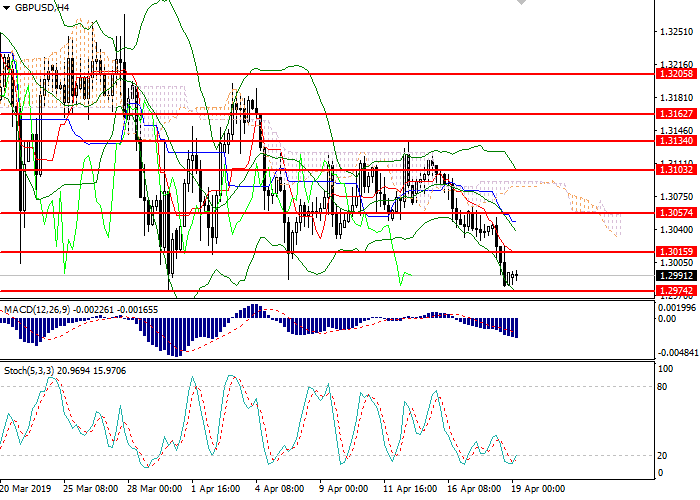 A confident breakdown of 71.00 may serve as a signal to further sales with the target at 70.00 or 69.50-69.15. Stop-loss – 71.50.